Oto (Otar) Nemsadze (ოთო ნემსაძე) was born on June 18, 1989 in the city of Gori. He started singing being just 3 years old. Oto's first music teacher was his mother, Maia Nemsadze. He started playing the guitar at the age of 12 and later also piano. He graduated from Javakhishvili University where he studied at the Faculty of Business and Economy. Oto Nemsadze has debuted on the Georgian stage in 2010, when won one of the biggest competitions in Georgia "Geostar" (of "Idol" franchise), that time aired on Rustavi 2, finishing ahead of Sopho Gelovani. 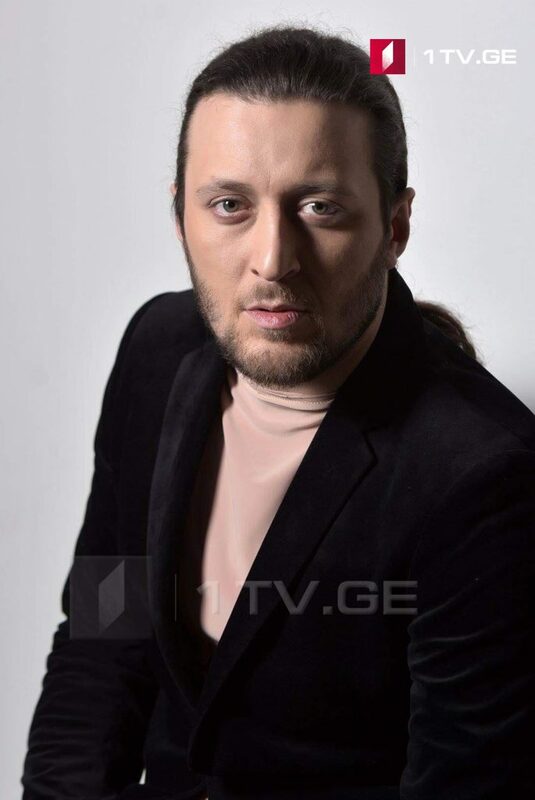 Interestingly, to qualify to the Eurovision 2019 Nemsadze had to return and win again the Georgian Idol show, this time labelled "Sakartvelos Varksvlavi" (Georgian Star) aired on GPB. After the Geostar, Oto created his Jazz band, which performs with concerts mainly in Tbilisi and Batumi, and also performed in Kyiv in the 100th anniversary concert of jazzman Alexey Kogan "Theme with variations"
After that Oto entered Ukrainian/Georgian competition "10 + 10" in a duet with Marietta which he also won. After it he enters Ukrainian "Voice of the Country" 2013 and takes there second place in the Superfinal. During the show he has performed songs "Feeling Good", "Bad", "Superstar", "Oy, chyy to kin stoyit", "Zozulia", "You Can Leave Your Hat On", "Chorniyi brovy, kariyi ochi", "Ochi chyornye", "Pid oblachkom", "I Believe I Can Fly". In May 2013 he gave his first solo concert in Kyiv's club Bochka. He was invited to open the World Championship in Rhythmic Gymnastics in Kyiv Sports Palace, where he performed the famous Ukrainian hit "Oy, chyy to kin stoyit", along with the mixed champion Anna Bessonova. After that he returned to Georgia but he does not stop contact with his mentor, frontman of "Okean Elzy" Svetoslav Vakarchuk, performing together, for example, in 2017 at Lviv concert. 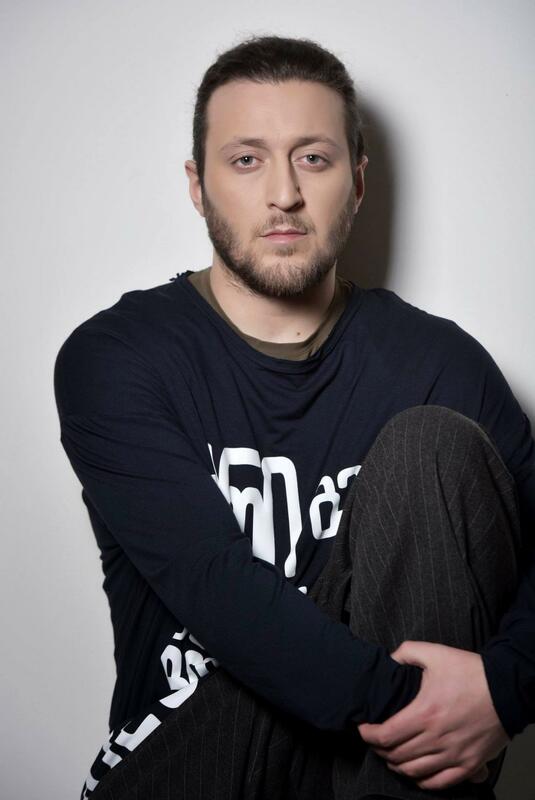 In 2013 he released his debut album "Fiqrebis Zgva" on Bravo Records and gave his first solo concert in Tbilisi. In 2014 Oto wins TV project "Bravo" on "Rustavi 2" and in 2015 she finished second in the project "Erti Etshi" (Your Face Sounds Familiar) on Imedi TV. In 2015 he was jury member for the national Junior Eurovision preselection. In 2016 he won the Award of Radio Fortuna "The Nightingale of the Year". Same year he was invited to take part at "Britain's Got Talent" competition, but could not attend due to visa difficulties. In 2017 Oto Nemsadze together with the group "Limbo" and song "Dear God" written by his brother Beso participated in the national Eurovision preselection, finishing 10th. In 2018 released with Limbo the album "Is rats darcheba" recorded in the studio "Betkho Lab". Same year he has performed at a tour in the United States for the Georgian diaspora. During the "Sakartvelos Varksvlavi" (Georgian Idol / Star of Georgia), which this year acted as the Eurovision preselection, Oto has performed: Billie Jean (Michael Jackson), Heaven on Their Minds (Jesus Christ Superstar), We Will Rock You / We Are The Champions (Queen), Sakartvelo (Irakli Charkviani), Nami vels (33A), Tselitsadis 4 dro (Otar Ramishvili), Come Together (The Beatles), Rats am kveqnad siqvaruli mefobs (Gogi Dolidze). Oto Nemsadze really belongs to the category of creators, for whom the quality is on the first place, in all of its projects he develops the special attitude towards his supporters. He sings and composes in styles jazz, blues, rock and pop. "It is the tenth year I'm taking part in the competitions - until now I have won all, "Eurovision" will be seventh if I go there. Eurovision was my goal for a while, otherwise, I wouldn't have competed in any other competition again. Eurovision is a good springboard to get to a larger scale. In my opinion it is not about the positions, but to should yourself to the world. Hopefully, it will also give me opportunity to have more great concerts back home in Georgia. I promise that at the Eurovision I will deliver such spirit, energy and fire that will hit the whole world, especially Europe. They need to see what is and who is the Georgian man". Roman Giorgadze, author of "სულ წინ იარე" (Sul tsin iare) (Always Go Forward), said that his purpose was to compose the song with Georgian message . His song was performed in the final tour of Georgian Idol musical megaproject by Oto Nemsadze and Giorgi Nakashidze. "Participation in the competition is a great honor. The 300-million audience will listen to your song. It's a big challenge. The song was composed spontaneously with one breath," Giorgadze said. Lyrics contain common Georgian folklore refrain "Varada sivarada' which originally was borrowed from the Abkhaz "ŭarayda, sıyŭarayda", which can not be translated with Georgian or Abkhaz languages, but have meaning in Circassian where "uerede, ua sıuerede" will mean "song, my song". In "Sul tsin iare" such incorporation is meant to show the roots of Abkhazian folklore and its similarity and common things with Georgian. Roman Giorgadze was born on June 7, 1982 in Kutaisi. In 1997-2001 he studied in Kutaisi M. Balanchivadze Music College, getting Bachelor's Degree in the Academic Faculty of V. Saradjishvili State Conservatoire, Master's degree in the same course in 2006-2008. Since 2004 he worked as teacher in Y.Mikeladze Central Music School. From 2015 till today, he serves as director of J.Kakhidze Tbilisi Music-Cultural Center. Also in 2015 he founded studio "Maestromani". Roman Giorgadze actively cooperates with various Georgian artists as a songwriter and arranger. Writes music for movies, TV shows and advertisements. Since 2007 it has been actively involved in both the Junior and adult Eurovision Song Contest as arranger and sound producer of various Georgian entries. Shooting of the music video on the entry of Oto Nemsadze ends today. The video clip is directed by Giorgi Ebralidze. Singers of Ensemble “Shavnabada” and more than 50 people are participating in the video. The shooting took place in Maltakva village, Enguri Bridge, in different regions of Georgia and continues in Tbilisi. Oto Nemsadze performed “Varada” together with singers of “Shvidkatsa” Ensemble under the background of barbed wires. "Seeing barbed wires is not easy for me as being a representative of the region which is occupied at present. I think that the video clip will not leave anyone indifferent. Its main message is that there are no divided regions in Georgia. Soon or later, these barbed wires will be destroyed and we will all sing Varada and other songs together," Oto Nemsadze said. According to Giorgi Ebralidze, not a single person wants his/her country divided. "People want to be together. All barriers will be ruined one day," Ebralidze said. The presentation of the video is scheduled for April 8. Shootings of Oto Nemsadze's music video went underway. The first stage of filming is taking place in Poti. The clip will be large scale and shot in various parts of Georgia. Ensemble "Shavnabada" singers and more than 50 specially selected personalities will participate in the shootings. Video is directed by Giorgi Ebralidze. "We are in Poti where we start working on Oto Nemsadze's video. Then we will continue on the Enguri Bridge. Today we have the first day of filming. I hope everything will be fine, "said Giorgi Ebralidze. The shooting will last for several days and its premiere is scheduled for early April. Fashion Designer Giorgi Shaghashvili, known for his special relations with black colour, will work on Oto Nemadze’s stage costume design. In 2000, Giorgi Shaghashvili graduated from Tbilisi State University, Faculty of Medicine. He entered the Tbilisi State Academy of Arts and studied the Master Program in fashion design. In 1999, Giorgi Shaghashvili received a prize for the best Vanguard Idea and 17 costumes. In addition, he held several personal graphic and art exhibitions. Since 2009 his collections have been sold in Georgia and Denmark, as well as in Kazakhstan and Russia. In 2009, Giorgi Shaghashvili founded his own company in Denmark. Filming of the music video of Georgian entrant Oto Nemsadze begins. It will be large scale production and shooting will take place in various parts of Georgia. In the filming singers of the ensemble "Shavnabada" and more than 50 specially selected personalities will participate. Director Giorgi Ebralidze will work on the video. He is winner of numerous Georgian and international awards including prize of Kyiv International Festival. The filming of the video will last for several days and its premiere is scheduled for early April. 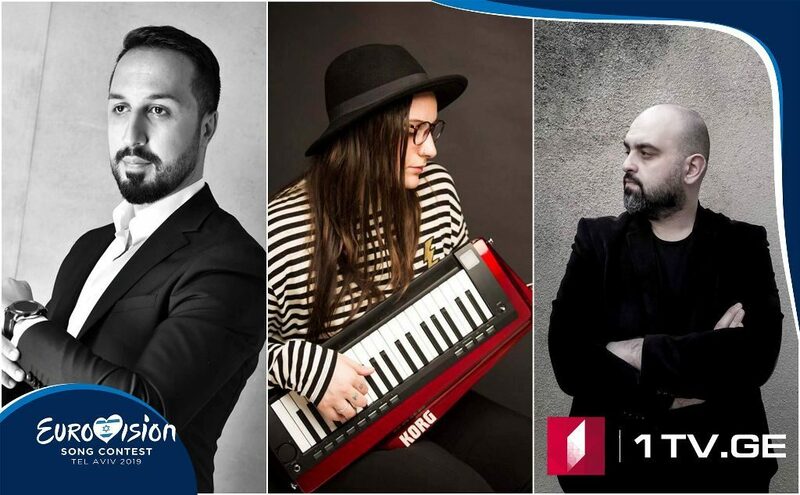 Oto Nemsadze will perform at the Eurovision Song Contest accompanied by five backing vocalists: Giorgi Kananadze, Giga Chigogidze, Dato Tsintsadze, Spartak Sharikadze and Mikheil Javakhishvili. The singers are members of "Shavnabada", a folk ensemble founded in 2005. Recall that Misho Javakhishvili is one of the members of the group Iriao, which represented Georgia at the Eurovision 2018. Georgian delegation will leave for Israel on May 4. Oto Nemsadze will take the first rehearsal on May 5. The representative of Georgia will compete in the second part of the first semi-final on 14 May. Upon returning from the postcard filming in Israel, Georgian representative Oto Nemsadze has started working on the stage presentation of his performance. Georgian Idol winner Oto Nemsadze made appearances in several programs of Georgian television. - This is the sixth victory for me in the TV competition, this have been incredible 10 years and I'm so thankful to everyone who has supported me in this journey, says singer, who started his career with winning Georgian Idol in 2010, and 9 years later repeated the same success. "Now it is important to keep this support of fans, encouragement, positive emotions and mood in the international arena. I promise everyone that I will stand up to the end and defend dignity of Georgia at the Eurovision!" After the final show, singer had to be admitted to hospital as he fell down from the stage while making photos with his fans. "I survived! Everything happened in a second, I fell down and I though I had no damage, but then in half an hour I felt I can barely move, so I had to go to hospital to check. After one hour there I was sent home, it were just bruises. It was a huge day for me, I won the contest, I was jumping out of joy and finally managed to fall down - all in one day". Finalists of Georgian Idol Sakartvelos Varskvlavi recorded video statements, urging to vote for them in the final of the competition. "It would be a big responsibility for me to represent Georgia in Eurovision Song Contest. Even though I am just 16 years old, I had a lot of difficulties in life but never surrendered. I have the power and experience to dignify Georgia at the Eurovision. With your support and my work, I'm sure I will make the dream of Georgia coming true on the biggest stage of Europe,"- said Giorgi Pruidze. "I have enjoyed the love and victory of people many times. For 10 years I've been able to do this work. Until now I have come with you and after that I will go with you. The love of Georgia and the great stage will give me the opportunity to introduce our country to the whole world. Eurovision is a big challenge and I, Oto Nemsadze, will win this fight with you", - said Oto Nemsadze. "Standing on the stage is a big responsibility for me. It's the adrenaline that I want to share with the world. I do not play when I'm on the stage, I'm real. These qualities have brought me in the past years success in the "X Factor". I believe Georgia will be dignified at the Eurovision Song Contest", - said Giorgi Nakashidze. "I will be honest and tell you that when I became the leader for the first time, I realized that people really love me. For a long time I had doubts about my abilities. You gave me the power and I realized that I can present Georgia well on the biggest stage. I have hope of your love," - said Liza Kalandadze. Earlier, the composers of the national final entries have appeared in the "Midday" program of the First Channel of GPB. Giorgadze, author of "Sul tsin iare" (Always Go Forward), said that his purpose was to compose the song with Georgian message. His song will be performed in the final tour of Georgian Idol musical megaproject by Oto Nemsadze and Giorgi Nakashidze. "Participation in the competition is a great honor. The 300-million audience will listen to your song. It’s a big challenge. The song was composed spontaneously with one breath," Giorgadze said. Levan Basharuli, author of "Sevdisper zghva" (Sorrow-Color Sea) song to be performed by Liza Kalandadze also shared with his emotions. "Participation in the competition is very important for me. Doing your work for the country means much. I am doing my best to refine the song to be perfect. 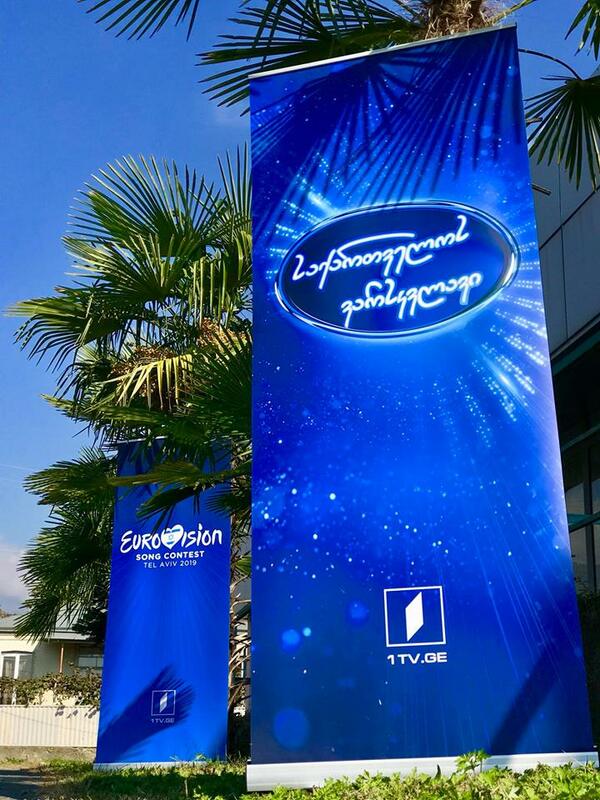 I am excited since the Georgian audience has good taste," Basharuli said. "Me mjera" (I believe) is the name of the song which will be performed by Giorgi Pruide in the final round of Georgian Idol Project. Its author is Tamar Babilua. "The song was written in 2019. It is about a strong person and the inner energy, which can do a miracle," Babilua said. The final round of Georgian Idol Musical Megaproject of First Channel will be held on March 3 at 22:00 at Tbilisi Big Concert Hall. 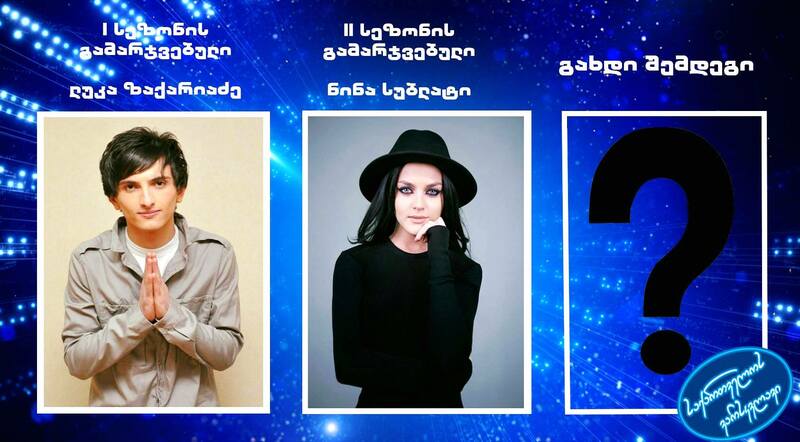 The audience will select the Georgian contender for the 2019 ESC and the Georgian entry during the live show. Sakartvelos Varksvlavi finalists have chosen songs for the final show on March 3rd. "I chose Levan Basharuli's "Sevdisper zghvas" because I felt this song is mine, I immediately realized this is thesong I want to sing to the world", says Liza Kalandadze. "I chose "Sul tsin iare" because it deserves a wide scope, it very well shows Georgian spirit and I think my energy will fit the song", says Oto Nemsadze. "I think the song will be liked by every Georgian", says Giorgi Nakashidze who will perform the same song. "I made a choice of Tamar Babulia's "Me mjera" as it was the closer one to me emotionally", says Giorgi Pruidze. Tinatin Berdzenishvili, director of the Media and Communications of the Georgian Public Broadcasting (GPB) and former Head of Press of the Eurovision delegation says that a creative group working on the Mega Show will have a great experience in the market. "The First Channel starts with it's Mega Show. On the show will work a group that has a great deal of experience in this market. We are highly optimistic. It is doubly important that it's winner will join the international competition - Eurovision 2019". "Nova Productions" representative Giorgi Khaburdzania says that the First Channel is establishing a new international standard with a new project. "The unprecedented thing is that the GPB is establishing a new, international standard for Georgia. 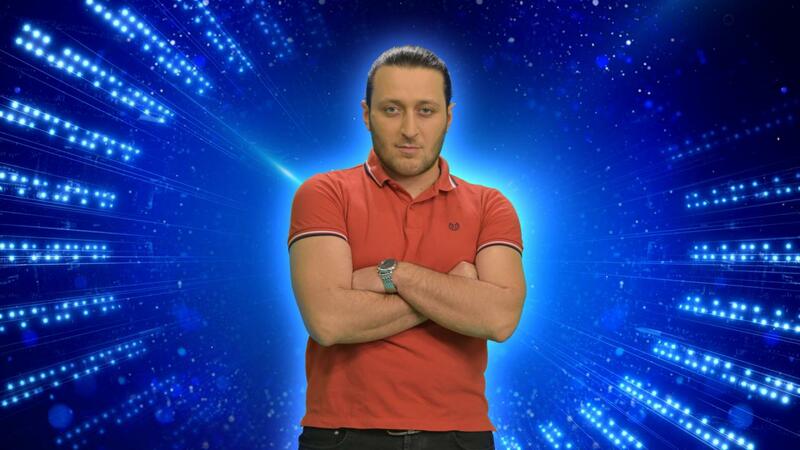 The show - Pop Idol's "Star of Georgia" will reveal who will travel to Eurovision. This is a unique case that increases the involvement of the audience. The viewer will know from the very beginning that the winner will not only receive material prizes, but will become star of Georgia and will represent Georgia on the most important project - the Eurovision Song Contest". "Nova Productions" recently has ended its contract with "Imedi" and "Rustavi 2" broadcasters, and continue to work independently, so that their projects will be offered to different TV channels. Demna Japaridze, another representative of "Nova Productions" says: "Georgian star" will be the first project, on which we will start working for high ratings with our public broadcaster. The expectations of our and GPB teams are huge. We will do our best to get the show's rating. We have a great hope for a local team that has created many interesting projects over the years". Among participants of the auditions are: Malibu (National Final 2017), Mariam Kakhelishvili (JESC 2010). 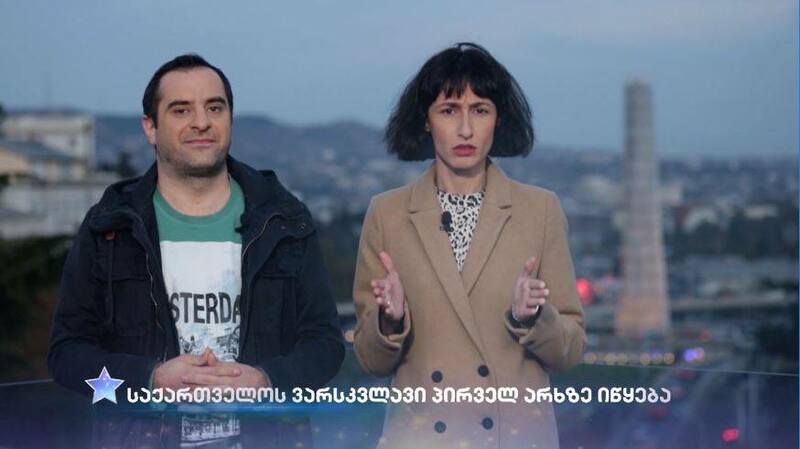 Vaniko Tarkhnishvili and Ruska Makashvili became hosts of the Music Mega Project "Star of Georgia" of GPB. Several videos with them have been already posted on the social networks of the project. On 21 December Georgian Public Broadcaster started search for a song that will be representing Georgia at the Eurovision Song Contest 2019. Best song will be performed by the winner of Sakartvelos varskvlavi talent show, used as the national Eurovision preselection. Submitted songs should be less than 3 minutes long and should not be presented to public before. Deadline to submit songs, biography of songwriters and photo to eurovision@gpb.ge is 1 February. Songs can also be submitted to GPB headquarters in Tbilisi, Kostava str 68. Song hunt launched by Georgian broadcaster GPB has ended with over 200 songs received. The song selection process consisted of three rounds. 50 songs were selected as a result of the first stage and 12 remained after the second round, the best of them now will be chosen by 7 member jury which is made of: Davit Evgenidze, Nodiko Tatishvili, Zura Ramishvili, Giorgi Asanishvili, Manana Morchiladze, Lana Kutateladze, Lado Tatishvili and Khatuna Koberidze. In the selection process the jury will not be aware the names of songwriters and will evaluate compositions on 10-point system. On 18 February the jury has chosen three songs to be performed in the final. They are composed by Levan Basharuli, Roma Giorgadze and Tamar Babilua. 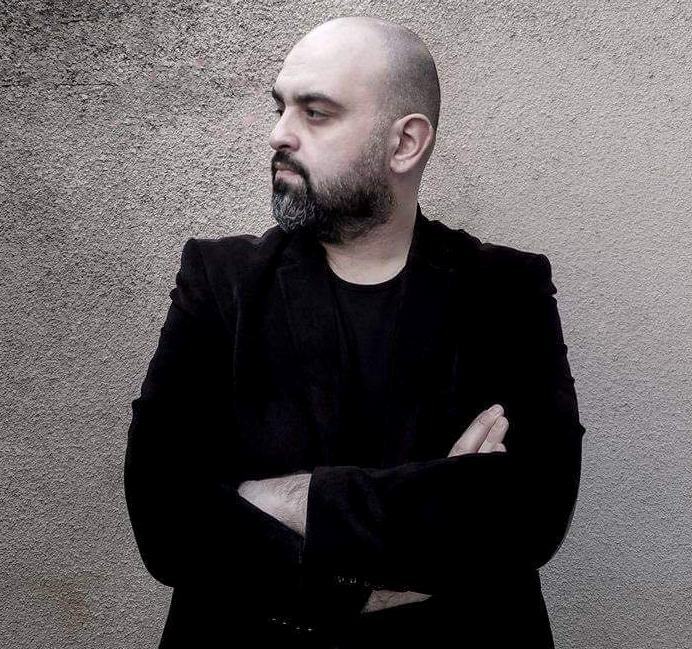 Basharauli is Georgian film and media composer residing in Germany, Giorgadze is known as audio engineer, arranger and music producer and worked on several Georgian JESC entries and Babilua holds national record for continuous 25 hours piano play. Three best songs will be performed in the final show on Sunday March 3 by the four remaining contestants, who will be able to make a choice of the song to perform themselves. 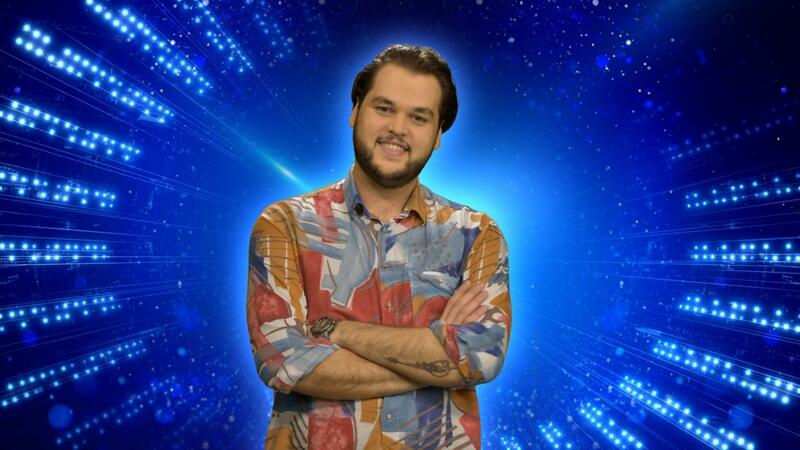 The winner will be chosen by 100% televoting. Georgia will present at the Eurovision Song Contest 2019 a song in Georgian language, declared Tinatin Berdzenishvili, the member of the jury of the project "Georgian Star" and First Deputy General Director of the First Channel. "We are trying to have as many songs as possible in our native language featured in the Eurovision, that is why I can tell you that Georgia will present a song in Georgian for the contest this year", she said. 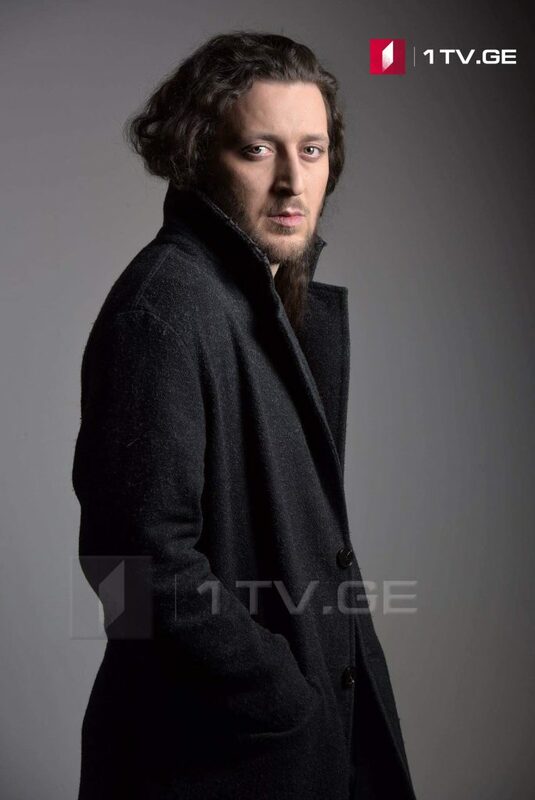 On 10 December it was revealed that most selling singer of Georgia Stephane Mgebrishvili (of Stephane & 3G, Eurovision 2009), winner of The Voice of Germany and participant of German preselection 2018 Natia Todua, Director of Media at Georgian Public Broadcaster Tinatin Berdzenishvili and CEO of Bravo Records Zaza Shengelia will make the line-up of the Sakartvelos varskvlavi (Georgian Idol). Georgian Idol already had connections with the Eurovision. "Geostari" show on "Rustavi 2" season 2 winner Nodiko Tatishvili and season 3 runner-up Sopho Gelovani represented Georgia in 2013 with "Waterfall", and "Georgian Star" (as it was called for two editions in 2012-2013) season 6 winner Nina Sublatti competed with "Warrior" in the Eurovision 2015. Technically, new season on GPB will be 8th season of the Idol franchise in Georgia, but will be labelled as 3rd "Georgian Star" season. At the first stage of the competition, the jury give positive or negative assessment when listening to the participants. Positive assessment is expressed by "Golden ticket". At the first stage, the jury has no limitation - it can give as much "Golden tickets" as they like. 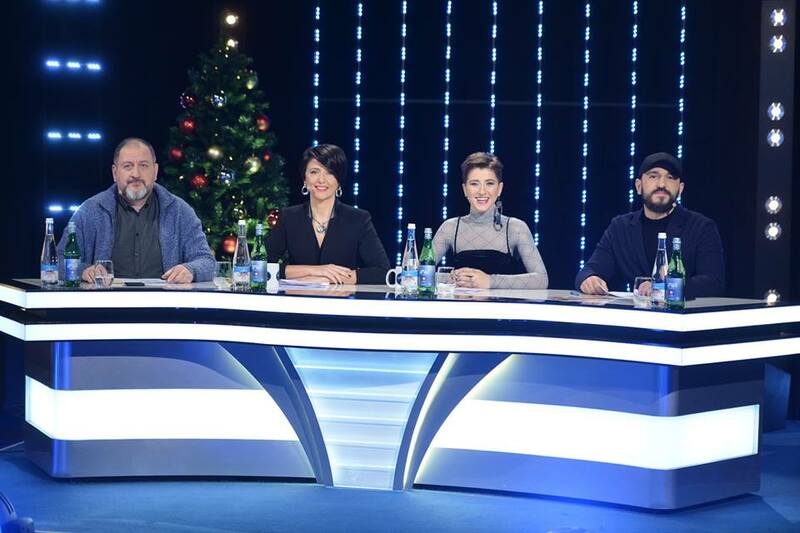 At the first stage of the "Star of Georgia" jury has given positive assessment of 48 contestants.After completing the first stage of the casting, the jury once again evaluated the owners of "Golden tickets". In accordance with the rules of the format and the participants' musical capabilities, the jury selects the contestants who have moved to the second stage. Accordingly, the jury of the "Star of Georgia" has selected 22 contestants from among 48 "Golden ticket" holder to proceed to the second stage of the casting where the final ten will be determined. Voting for the finalists of Georgian Idol Sakartvelos Varskvlavi will go underway on Friday, January 25, at 12:00 am local time. To give your vote, one needs to write to Messenger of the show line: Get Started. You will receive message with an invitation to vote, you need to select first line "💃🕺 კონკურსანტები", to open the list of contestants. There click on the button under the name of contestant you want to vote for. You will receive another message with a photo of chosen contestant. There you need to click on first line "➡ მიეცი ხმა! ", to confirm your vote. It is possible to vote for free once every 12 hours. System will write when you will be able to submit your next vote. One can also vote via telephone from Geocell and Magticom in unlimited numbers, call price is 50 tetri. In the first round two acts with the least number of votes will leave the show. Nini Tsnobiladze was born on 19 October 1992 and is a well-known singer in Georgia as well as Ukraine. In 2012 she participated in The Voice of Georgia, where she finished second. Five years into her career she started pursuing career opportunities in Ukraine, where she was a contestant in the seventh season of The Voice, where she made it to the quarter finals. Oto Nemsadze is a household name in Georgia after winning Idol in 2011. He was a finalist of The Voice of Ukraine in 2013 and in 2017 he took part in the Georgian national selection for the Eurovision Song Contest as part of the group Limbo, where he finished eleventh among 25 contestants. While Giorgi Nakashidze studied at the Kids Opera School, he realised at the age of fifteen that opera wasn't his genre after all. He changed direction focusing on rock. In 2015 he won Georgia's The X Factor. 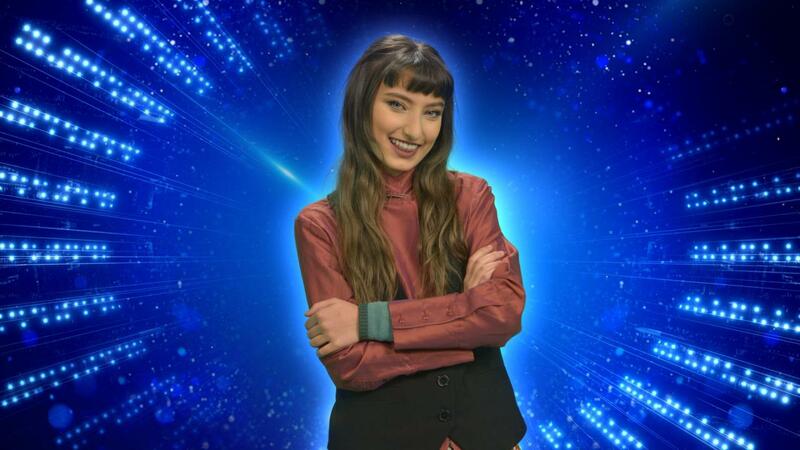 16 years old Liza Kalandadze already has a well-establiahed career in Georgia, after taking part in The X Factor and Idol before. Encouraged by raving feedback from judges and viewers, Liza is giving it another shot taking part in Idol, hoping to represent her country at the 2019 Eurovision Song Contest. While still a student, sixteen-year old Ikako Aleksidze is already investing heavily in a music career. Last year he took part in The X Factor, and within a short year he is once again aiming to win over as many hearts as he can through a well-known talent show format. Tamar Lachkepiani, just sixteen years old, took part in various music festivals across the country. She plays the violin, is still studying and is dreaming to become as successful as her source of inspiration, Rihanna. Dima Kobeshavidze, born in Tbilisi in 1992, has lived in Moscow from 2003 to 2009. He returned to Geoorgia as contestant of The Voice and The X Factor. He tried to represent his country at the Eurovision Song Contest in 2017, but didn't get further than a fourteenth place in the country's national selection. 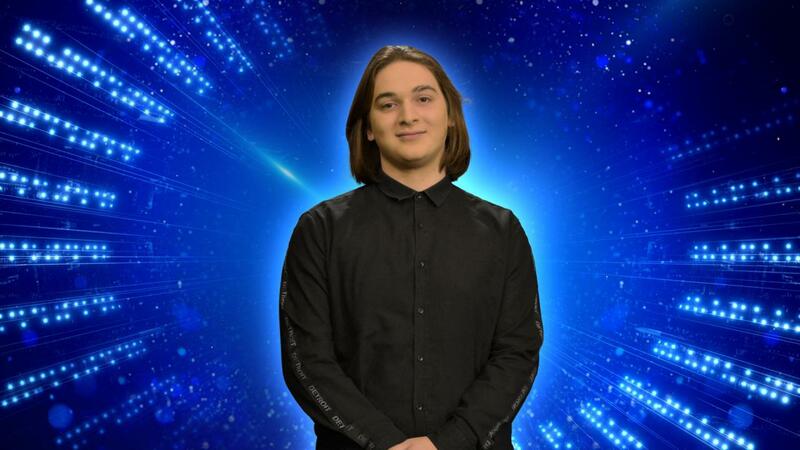 Sixteen-year old student, singer and song writer Giorgi Pruidze is already known to the Georgian public as contestant in The X Factor back in 2015. 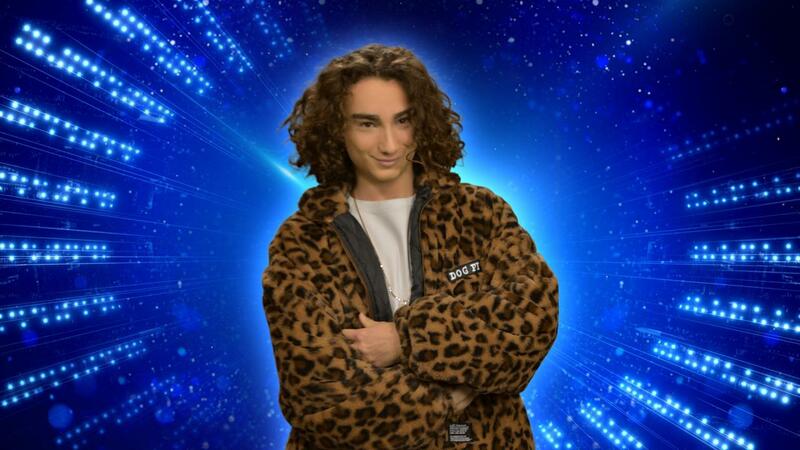 This year he is trying his luck as Idol finalist, hoping to represent his country on the biggest stage possible. Natia Nanobashvili - What A Girl Wants? Ото (Отар) Немсадзе родился 18 июня 1989 года в городе Гори. Он начал петь, когда ему было всего 3 года. Его первым учителем была его мама - Майя Немсадзе. Он стал играть на гитаре в 12 лет, а позже изучал игру на пианино. Окончил факультет бизнеса и экономики в Тбилисском государственном университете им. Ив. Джавахишвили. Ото Немсадзе дебютировал на грузинской сцене в 2010 году, когда выиграл одно из крупнейших в Грузии музыкальных соревнований "Geostar" (франшизы "Идол"), который тогда выходил в эфир на Рустави-2, опередив Софо Геловани. Интересно, что для участия в Евровидении-2019 Немсадзе пришлось вернуться и снова выиграть шоу "Грузинский идол", на этот раз под названием "Sakartvelos Varksvlavi" (Грузинская звезда), которое транслировалось на Первом канале Общественного телевидения. После проекта "Geostar" Отo создал свой джаз-бенд, который выступает с концертами в основном в Тбилиси и Батуми, а также выступил в Киеве в 100 -м юбилейном концерте джазмена Алексея Когана "Тема с вариациями"
После этого Ото принял участие в украинско-грузинском телеконкурсе "10 + 10" в дуэте с Мариеттой, который он также выиграл. Затем он выходит на украинский "Голос страны" 2013 года и занимает там второе место в Суперфинале. Во время шоу он исполнил песни "Feeling Good", "Bad", "Superstar", "Ой чий то кінь стоїть", "Зозуля", "You Can Leave Your Hat On", "Чорнії брови, карії очі", "Очи чёрные", "Під облачком", "I Believe I Can Fly". В мае 2013 года он дал свой первый сольный концерт в киевском клубе "Бочка". Его пригласили открыть чемпионат мира по художественной гимнастике в киевском Дворце спорта, где он исполнил знаменитый украинский хит "Ой чий то кінь стоїть" вместе с чемпионкой мира в смешанной программе Анной Бессоновой. После этого он вернулся в Грузию, но не прекратил контакт со своим наставником, фронтменом "Океана Эльзы" Святославом Вакарчуком, выступая вместе, например, в 2017 году на львовском концерте. В 2013 году он выпустил свой дебютный альбом "Fiqrebis Zgva" на Bravo Records и дал свой первый сольный концерт в Тбилиси. В 2014 году Ото побеждает в телевизионном проекте "Bravo" на Рустави-2, а в 2015 году занимает второе место в проекте "Erti Etshi" (Один в один) на телеканале "Имеди". В 2015 году он был членом жюри национального отбора на Детское Евровидение. В 2016 году он получил премию радио Fortuna "Соловей года". В том же году его пригласили принять участие в конкурсе "Britain's Got Talent", но он не смог отправиться на него из-за визовых проблем. В 2017 году Ото Немсадзе вместе с группой "Limbo" и песней "Dear God", написанной его братом Бесо, принял участие в национальном отборе на Евровидение, заняв 10-е место. В 2018 году вышел его совместный с Limbo альбом "Is rats darcheba", записанный в студии "Betkho Lab". В том же году он выступал на гастролях в США для грузинской диаспоры. В рамках шоу "Sakartvelos Varksvlavi" (Грузинский Идол / Звезда Грузии), которое в этом году служило национальным отбором на конкурс Евровидение, Ото исполнил: Billie Jean (Michael Jackson), Heaven on Their Minds (Jesus Christ Superstar), We Will Rock You / We Are The Champions (Queen), Sakartvelo (Irakli Charkviani), Nami vels (33A), Tselitsadis 4 dro (Otar Ramishvili), Come Together (The Beatles), Rats am kveqnad siqvaruli mefobs (Gogi Dolidze). Ото Немсадзе действительно принадлежит к категории музыкальных творцов, для которых качество стоит на первом месте, во всех своих проектах он вырабатывает особое отношение к своим поклонникам. Он поет и сочиняет песни в стилях джаз, блюз, рок и поп. "Уже десятый год я принимаю участие в соревнованиях - до сих пор я выиграл все, Евровидение будет седьмым. Евровидение было моей целью некоторое время, иначе я бы не стал больше принимать участие ни в каком другом уонкурсе. Евровидение - хороший трамплин, чтобы добраться до большей аудитории. По моему мнению, главное в нем не занятые позиции, а возможность заявить о себе в мире. Надеюсь, это также даст мне возможность давать больше концертов на родине в Грузии. Я обещаю, что на Евровидении я покажу такой дух, энергию и огонь, которые поразят весь мир, особенно Европу. Им нужно обязательно увидеть, каков грузинский мужчина". Роман Гиоргадзе, автор "Sul tsin iare" (Всегда иди вперед), рассказал, что его целью было сочинить песню с грузинским посылом. Его песня была исполнена в заключительном туре музыкального мегапроекта "Грузинский идол" Ото Немсадзе и Георгием Накашидзе. "Участие в конкурсе Евровидение - большая честь. 300 миллионов слушателей услышат вашу песню. Это большой вызов. Песня была написана спонтанно на одном дыхании", - сказал Гиоргадзе. Текст песни содержит традиционный грузинский фольклорный припев "варада сиварада", который был изначально позаимствован с абхазского "ўарайда, сыйўарайда", что невозможно перевести ни с грузинского, ни абхазского языков, но имеет смысл на черскесском, где "уэрэдэ, уа сыуэрэдэ" будет означать "песня, моя песня". В "Sul tsin iare" такое заимствование призвано показать корни абхазского фольклора, и его общность с грузинским. Роман Гиоргадзе родился 7 июня 1982 года в Кутаиси. В 1997-2001 годах учился в Кутаисском музыкальном училище им. М. Баланчивадзе, получив степень бакалавра на академическом факультете Государственной консерватории им. В. Сараджишвили, степень магистра по этому же курсу в 2006-2008 годах. С 2004 года работал преподавателем в Центральной музыкальной школе имени Е. Микеладзе. С 2015 года по настоящее время он является директором Тбилисского музыкально-культурного центра им. Кахидзе. Также в 2015 году он основал студию "Maestromani". Роман Гиоргадзе активно сотрудничает с различными грузинскими артистами как автор песен и аранжировщик. Пишет музыку для фильмов, телешоу и рекламы. С 2007 года он принимает активное участие как в детском, так и взрослом конкурсах Евровидение, в качестве аранжировщика и звукорежиссера различных грузинских песен. Съемки клипа Ото Немсадзе на песню Keep On Going завершаются сегодня. Режиссер Георгий Эбралидзе вместе с творческой группой сегодня завершит съемки клипа грузинского участника «Евровидения 2019» Ото Немсадзе. После села Малтаква и Ингурского моста, съемки продолжатся в Тбилиси. Ото Немсадзе исполнил "Варада" вместе с ансамблем «Швидкаца» на фоне проволочных ограждений. "Как для представителя того региона, который сегодня обнесен проволочными заграждениями, мне не легко видеть проволочные ограждения. Думаю, этот видеоклип никого не оставит равнодушным. Главное послание таково – в Грузии нет разделенных уголков, рано или поздно проволоки будут разрушены и мы все вместе споем "Варада", "Вараида" и другие песни", — отметил Ото Немсадзе. По словам режиссера Георгия Эбралидзе, ни один человек не хочет, чтобы его страна была разделена. "Люди хотят быть вместе, мы хотим быть вместе и рано или поздно эти барьеры будут разрушены", — заявил Георгий Эбралидзе. Презентация клипа состоится 8 апреля. Начались съемки конкурсного видеоролика Ото Немсадзе. Первый этап проходит в Малтаква, Поти. Клип будет масштабным и съемки запланированы в разных уголках Грузии. В клипе конкурсной песни примут участие исполнители ансамбля "Шавнабада" и более 50 специально отобранных типажей. Над видеороликом будет работать режиссер Георгий Эбралидзе. "Мы находимся в Поти, где снимаем клип Ото Немсадзе. Мы начали снимать в Поти, а затем продолжим на Ингурском мосту. Сегодня у нас первый съемочный день. Надеюсь все будет хорошо", — заявляет Ото Немсадзе. Съемки конкурсного видеоролика будут длиться несколько дней. Премьера запланирована в начале апреля. Сценический образ Ото Немсадзе подготовит дизайнер Георгий Шагашвили, известный своим особым отношением к черному цвету. Георгий Шагашвили - один из самых известных и интересных модельеров современной Грузии. Выпускник Тбилисской государственной художественной академии им. А. Кутателадзе по классу дизайн моды, он также имеет медицинское образование. Кроме своих удивительных коллекций одежды, выставлялся и как художник, представлял миру свои живописные и графические работы. В 2003 году Шагашвили создал пять костюмов для конкурса российского благотворительного фонда "Русский Силуэт", основанного в 1997 году для поддержки молодых дизайнеров, а также сохранения национальных культурных традиций. Коллекция грузинского дизайнера под названием "Рождение" была высоко оценена критиками, вошла в число лучших работ и была отобрана для финального шоу проекта. В 2009 году коллекции Георгия Шагашвили появились на модном рынке Грузии и Дании. Нарядами грузинского кутюрье очень заинтересовались в России и Казахстане. В том же году дизайнер основал свою компанию George Shaghashvili в Дании. С 2016 года Георгий Шагашвили - постоянный участник Недели моды Mercedes Benz Fashion Week в Тбилиси. В 2018 году бренд George Shaghashvili был официально представлен в Екатеринбурге (Россия) в рамках "Дней моды Грузии". Нарядами дизайнера Георгия Шагашвили особенно восторгаются любительницы черного цвета. Дизайнер остается верным любимому черному цвету, однако иногда разбавляет его яркими тонами. Доминантными в творчестве Шагашвили также являются африканские и индийские элементы. Начинаются съемки видеоролика на конкурсную песню Ото Немсадзе. Клип будет масштабным и съемки запланированы в разных уголках Грузии. В клипе конкурсной песни примут участие исполнители ансамбля "Шавнабада" и более 50 специально отобранных типажей. Над видеороликом будет работать режиссер Георгий Эбралидзе. Съемки конкурсного видеоролика будут длиться несколько дней. Премьера запланирована в начале апреля. Грузинский участник Ото Немсадзе выйдет на сцену «Евровидения» вместе с пятью бек-вокалистами – Георгием Кананадзе, Гигой Чигогидзе, Дато Цинцадзе, Спартаком Шарикадзе и Михаилом Джавахишвили. Исполнители являются членами фольклорного ансамбля "Шавнабада", основанного в 2005 году. Напомним, что Михаил Джавахишвили является одним из членов группы "Ириао", которая представляла на конкурсе Грузию в 2018 году. Делегация Грузии отправится в Израиль 4 мая. Первую репетицию Ото Немсадзе проведет 5 мая. Представитель Грузии исполнит конкурсную песню во второй части первого полуфинального тура, 14 мая. Вернувшийся со съемок посткарда в Тель-Авиве, представитель Грузии Ото Немсадзе приступил к репетициям своего сценического выступления. Победитель Грузинского Идола Ото Немсадзе принял участие в ряде программ Грузинского телевидения. "Это шестая победа для меня в телевизионном конкурсе, это были невероятные 10 лет, и я так благодарен всем, кто поддержал меня в этом путешествии", - говорит певец, который начал свою карьеру с победы на Грузинском Идоле в 2010 году, и спустя 9 лет смог повторить этот успех. "Сейчас важно сохранить эту поддержку болельщиков, ободрение, позитивные эмоции и настроение на международной арене. Я обещаю всем, что буду бороться до конца и защищать достоинство Грузии на Евровидении!" После финального шоу певца пришлось госпитализировать, поскольку он упал со сцены, делая фотографии со своими поклонниками. "Я выжил! Все произошло за секунду, я упал и, хотя я подумал, что не получил повреждений, но через полчаса я почувствовал, что едва могу двигаться, поэтому мне пришлось отправиться в больницу, чтобы проверить все точно. Через час меня уже отправили домой, это просто ушибы. Это был огромный день для меня, я выиграл конкурс, я прыгал от радости и, наконец, смог даже упасть - все за один день". Финалисты грузинского идола Сакартвелос Варсквлави записали видео послания, призвав проголосовать за них в финале конкурса. "Для меня было бы большой ответственностью представлять Грузию на Конкурсе Песни Евровидение. Хотя мне всего 16 лет, у меня было много трудностей в жизни, но я никогда не сдавался. У меня есть сила и опыт, чтобы достойно представить Грузию на Евровидении. С вашей поддержкой и моей работой я уверен, что осуществлю мечту Грузии на самой большой сцене Европы", - сказал Гиорги Пруидзе. "Я наслаждался любовью людей и победами уже много раз. Уже 10 лет я делаю эту работу. Я дошел до этого момента вместе с вами, и дальше тоже буду идти с вами. Любовь к Грузии и большая сцена дадут мне возможность познакомить нашу страну со всем миром. Евровидение - это большой вызов, и я, Ото Немсадзе, выиграю этот бой с вами", - сказал Ото Немсадзе. "Стоять на сцене - большая ответственность для меня. Это адреналин, которым я хочу поделиться с миром. Я не играю, когда я на сцене, я настоящий. Эти качества помогли мне добиться успеха в "X Factor". Я верю, что Грузия будет достойно представлена ​​на Евровидении", - сказал Гиорги Накашидзе. "Я буду честна и скажу вам, что когда я впервые стал лидером, я поняла, что люди действительно любят меня. В течение долгого времени у меня были сомнения в моих способностях. Вы дали мне силу, и я поняла, что смогу достойно представить Грузия на самой большой сцене. У меня есть надежда на вашу любовь", - сказала Лиза Каландадзе. Ранее композиторы песен национального отбора приняли участие в ток-шоу "Полдень" Первого канала ОТГ. Роман Гиоргадзе, автор "Sul tsin iare" (Всегда двигайся вперед), рассказал, что его целью было сочинить песню с грузинским посылом. Его песня будет исполнена в заключительном туре музыкального мегапроекта "Грузинский идол" Ото Немсадзе и Георгием Накашидзе. "Участие в конкурсе Евровидение - большая честь. 300 миллионов слушателей услышат вашу песню. Это большой вызов. Песня была написана спонтанно на одном дыхании", - сказал Гиоргадзе. Леван Башарули, автор песни "Sevdisper zghva" ("Море цвета печали") в исполнении Лизы Каландадзе, также поделился своими эмоциями. "Участие в конкурсе очень важно для меня. Делать свою работу для страны значит очень многое. Я прилагаю все усилия, чтобы улучшить песню, чтобы она была идеальной. Я взволнован, и верю, что у грузинской публики хороший вкус", - сказал Башарули. "Me mjera" (Я верю) - название песни, которая будет исполнена Гиорги Пруидзе в финальном туре проекта. Автор - Тамар Бабилуа. "Песня была написана в 2019 году. Она о сильном человеке и внутренней энергии, которая может сотворить чудо", - сказала Бабилуа. Финальный тур музыкального мегапроекта Сакартвелос Варсквлави на Первом канале состоится 3 марта в 22:00 местного врмени в Большом концертном зале Тбилиси. Аудитория выберет грузинского участника на Евровидение 2019 года и его конкурсную песню во время шоу в прямом эфире. Финалисты Sakartvelos Varksvlavi выбрали себе песни для исполнения на финальном шоу 3го марта. "Я выбрала песню Левана Башарули "Sevdisper zghva" потому что я почувствовала сразу, что она моя - это именно та песня, которую я хотела бы показать миру", говорит Лиза Каландадзе. "Я выбрал "Sul tsin iaer", потому что она заслуживает широкой аудитории, она прекрасно показывает грузинскую душу, и, мне кажется, что моя энергия подойдет этой песне", говорит Ото Немсадзе. "Я думаю, что эта песня полюбится каждому грузину", говорит Гиорги Накашидзе, выбравший эту же песню. "Я остановил свой выбор на "Me mjera" Тамар Бабулии, потому что из трех она была ближе всего мне эмоционально", говорит Гиорги Пруидзе. 26го сентября Общественное Телевидение Грузии объявило о том, что победитель предстоящего сезона Sakartvelos varskvlavi (საქართველოს ვარსკვლავი, Звезда Грузии) (грузинская версия музыкального шоу Idol) представит Грузию на Евровидении 2019. Проект будет реализован компанией "Nova Productions". Кастинги пройдут по всей Грузии, чтобы отобрать участников шоу. Участие в нем будет открыто в возрасте от 16 лет. Десять конкурсантов будут отобраны для девяти шоу в прямом эфире составом жюри из четырех членов. Шоу начнет выходить в эфир с 5 января 2019 года, таким образом его финал пройдет 2 марта. Тинатин Бердзенишвили, директор по медиа и связям с общественностью Общественного Телевидения Грузии (ОТГ) и бывшая пресс-атташе делегации Евровидения, говорит, что творческая группа, работающая над Мега Шоу будет иметь большой опыт в данной отрасли: "Первый Канал открывает собственное Мега Шоу. Над ним будет работать команда, которая уже имеет большой опыт на рынке. Мы с оптимизмом ждем результата. Вдвойе важно, что победитель шоу представит Грузию на международном конкурсе - Евровидении 2019". Представитель "Nova Productions" Георгий Хабурдзания говорит, что Первый Канал создаст своим новым проектом новый международный стандарт. "Беспрецедентно то, что ОТГ создает новый, международный стандарт для Грузии. Шоу - аналог Pop Idol "Звезда Грузии" определит того, кто отправится на Евровидение. Это - уникальный случай, и увеличивает вовлеченность зрителей. Они с самого начала будут знать, что победитель проекта не просто получит материальные призы, но и станет настоящей звездой Грузии и представит страну в самом главном проекте - конкурсе песни Евровидение". У "Nova Productions" недавно завершились контракты с коммерческими вещателями Rustavi 2 и Imedia, и она продолжает работать независимо, предлагая свои проекты различными телекомпаниям. Демна Джапаридзе, еще одна представительницы "Nova Productions" говорит: "Звезда Грузии станет первым проектом, над которым мы приступаем к работе с общественным вещателем. Ожидания нашей команды, и команды ОТГ огромны. Мы сделаем все, чтобы шоу стало рейтинговым. Мы надеемся на местную команду, которая создала множество интересных проектов за последние годы". Среди участников прослушиваний были: Малибу Тугуши (Национальный отбор 2017), Мариам Кахелишвили (Детское Евровидение 2010). Ванико Тархнишвили и Руска Макашвили стали ведущими музыкального мегапроекта Первого Канала Грузии "Звезда Грузии". Видеоролики с ними начали размещаться на социальных сетях проекта. 21 декабря Общественное телевидение Грузии запустило поиск песни, которая представит Грузию на Евровидении 2019. Лучшую песню на конкурсе исполнит победитель проекта Sakartvelos Varskvlavi. Подаваемые песни должны быть не длиннее трех минут и не быть представлены публике ранее. Крайний срок подачи песен, биографии авторов и фото на eurovision@gpb.ge - 1 февраля. Песни также можно подать в офисе ОТГ в Тбилиси, ул Костава 68. Поиск песен, запущенный грузинским вещателем завершился с получением свыше 200 композиций. Процесс отбора состоит из трех раундов. В первом раунде были отобраны 50 лучших композиций, после второго раунда остались 12. Лучшие из них теперь будут выбраны жюри из 7 членов, в которое вошли: Лана Кутателадзе, Дато Евгенидзе, Георгий Асанишвили, Зура Рамишвили, Нодико Татишвили, Ладо Татишвили, Хатуна Коберидзе, Манана Морчиладзе. В рамках отборочного процесса жюри не знает имен авторов композиций и оценивает их по 10-бальной шкале. 18 февраля Грузинский вещатель GPB выбрал три песни, которые прозвучат в финале шоу. Победившими авторами песен являются: Леван Башарули, Рома Гиоргадзе, Тамар Бабилуа. Башарули - грузинский композитор музыки для фильмов, проживающий в Германии, Гиоргадзе - известный звукорежиссер, аранжировщик, музыкальный продюсер, работавший с рядом заявок на Детское Евровиение, а Бабилуа держит рекорд Грузии по беспрерывной игре на фортепиано - 25 часов. Три лучшие песни будут исполнены в воскресенье 3-го марта на финальном лайв-шоу мегапроекта "Звезда Грузии" оставшимися. Согласно правилам, конкурсанты сами выберут ту песню, которую будут исполнять на финальном концерте. Победителя определит зрительское голосование. Грузия представит на Евровидении 2019 песню на грузинском языке, заявила Тинатин Бердзенишвили, член жюри "Грузинского Идола" и первый заместитель директора Первого Канала Грузии. "Мы стараемся показать на Евровидении как можно больше песен на нашем родном языке, поэтому я могу сказать вам, что в этом году Грузия представит песню для конкурса на грузинском", отметила она. 10 декабря стало известно, что самый продаваемый певец Грузии Стефане Мгебришвили (известный по группе Stephane & 3G с Евровидения 2009), победительница Голоса Германии и участница национального немецкого отбора 2018 года Натия Тодуа, директор медиа-отдела Общественного Телевидения Грузии Тинатин Бердзенишвили и генеральный директор лейбла Bravo Records Заза Шенгелия вошли в состав жюри Sakartvelos varskvlavi (Georgian Idol). Грузинский Идол уже имеет связь с конкурсом Евровидение. Победитель 2го сезона шоу "Geostari" на телеканале Rustavi 2 Нодико Татишвили и второй призер 3го сезона Софо Геловани представляли Грузию в 2013 году с песней "Waterfall", а победительница 6го сезона "Звезды Грузии" (как оно называлось два выпуска в 2012-2013 годах) Нина Сублатти выступала с "Warrior" на Евровидении 2015. Фактически, новый сезон на ОТГ станет 8м сезоном франшизы Идола в Грузии, но будет именоваться 3м сезоном Звезды Грузии. На первой стадии шоу жюри дает положительную или отрицательную оценку конкурсантам на прослушивании. Положительная оценка выражается в "Золотом билете". На первой стадии у жюри нет ограничений - оно может дать столько "Золотых билетов", сколько конкурсантов ему понравится. Всего на первом этапе "Звезды Грузии" положительно были оценены 48 участников (из них в эфире показаны 20). После завершения первой серии кастингов, жюри вновь оценивает в закрытом режиме всех обладателей "Золотых билетов". В соответствии с правилами формата и музыкальными возможностями участников, жюри выбирает тех, кто выйдет во второй этап. Таким образом, жюри отобрало 22 конкурсанта из числа 48 обладателей "Золотых билетов" для второй стадии кастингов, где будут определены 10 финалистов проекта. Голосование за финалистов Грузинского Идола Sakartvelos Varskvlavi стартует в пятницу 25 января в 11:00 Москвы. Для того, чтобы проголосовать - нужно написать в Messenger шоу строку: Get Started. Вам придет сообщение с призывом проголосовать, на ней нужно выбрать первую строку "💃🕺 კონკურსანტები", чтобы появился список конкурсантов. Нужно выбрать понравившегося вам конкурсанта и нажать на кнопку под его именем. Придет сообщение с фото выбранного конкурсанта. В нем нужно нажать на первую строку "➡ მიეცი ხმა! ", чтобы подтвердить свой голос. Голосовать можно раз в 12 часов. Система напишет вам, когда вы сможете отдать свой следующий голос. Также можно голосовать по телефонам операторов Geocell и Magticom в неограниченных количествах, стоимость звонка 50 тетри. В первом раунде шоу два конкурсанта с наименьшим количеством голосов покинут шоу. Seek! Find! Keep on going! Tune "Chonguri", we won’t perish! We heal each others' wounds with songs.